The above chart shows hourly price action. 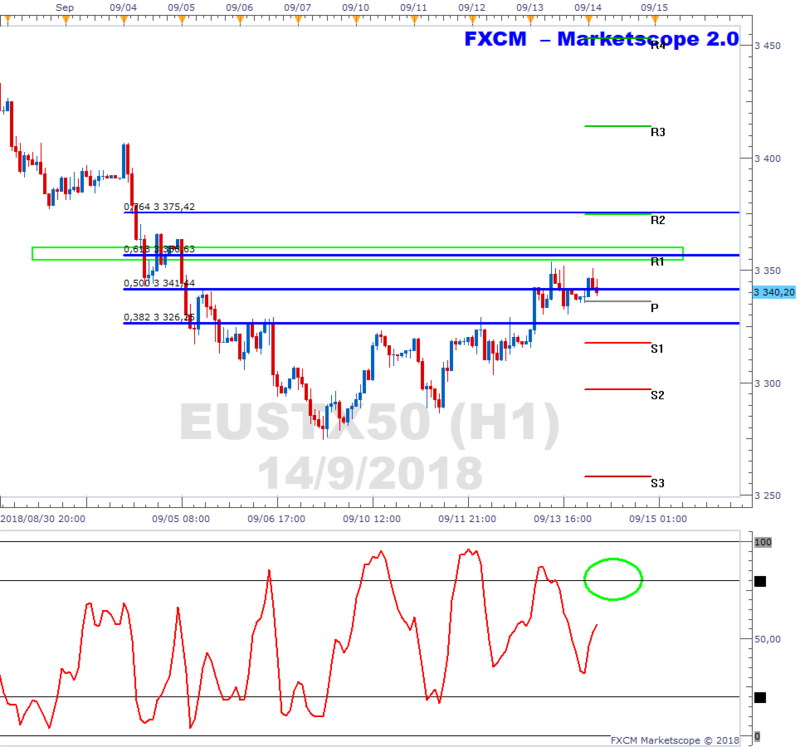 Key resistance is potentially at the confluence of factors including the R1 pivot level, the 61.8% Fibonacci retracement level and price congestion resistance (green rectangle). The stochastic also needs to move to more seller friendly levels (green ellipse). A pullback in EUSTX50 may provide a “sell the rally in a downtrend” opportunity.